Dallas Workout The Gym (DWTG) was designed with the intention of providing a fully functional, well-rounded workout facility for the public and for the professional fitness trainer and their clients. 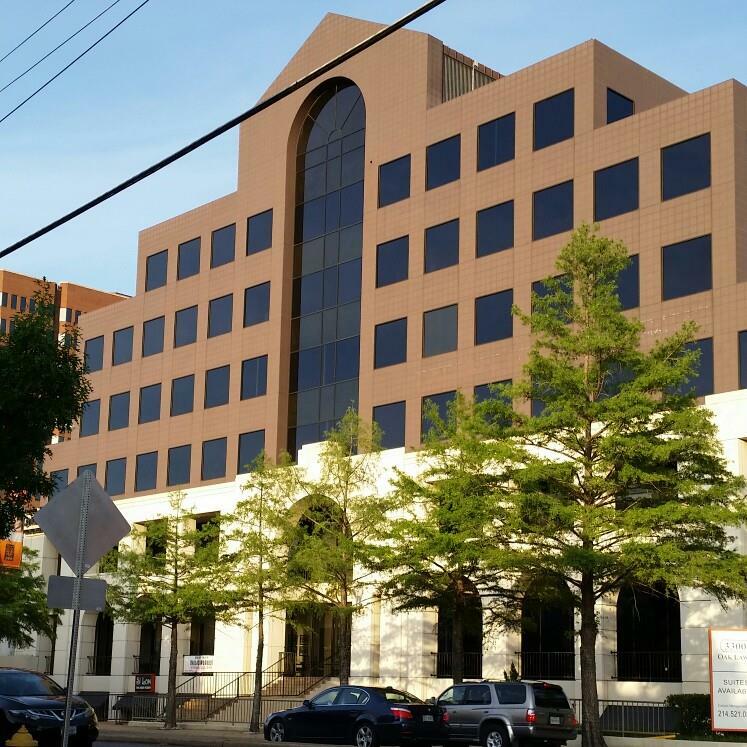 It is centrally located near downtown Dallas with convenient underground parking. We're opened every day (24 hours / 7 days a week) including holidays. The Fitness floor has a 3000 square foot fitness floor. It includes state of the art equipment with the old-school flair. It covers everything from cardio, to circuit and power! It's all about you! Fitness is a way of life. Your goals will change over time as you improve and grow. Starting with one of our professional trainers will get you on the right path. They can establish a custom program that best fits your needs. Once you have established a foundation, we can work on how to continue to grow and reach new levels you only dream about. We offer many different types of workshops throughout the year based on client feedback and Trainer availability. Take a look at our schedule for group workshops and see if there is something that would interest you. 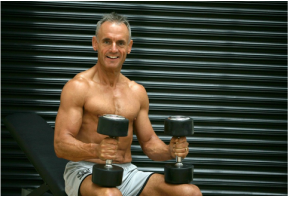 It's more economical than a private personal trainer session but still has all the benefits of education from one of our experts . Also, they a lot of fun so come join us for one of our group workshops. Whatever your fitness goals may be, we have the right equipment to help you achieve your goal. With over 3000 sq. ft. of floor space, DWTG has all the equipment you will needs from free weights to circuit machines, kettlebells to mace clubs, and everything in between. Come check out our facilities and let work on a program that will meet your fitness goals. 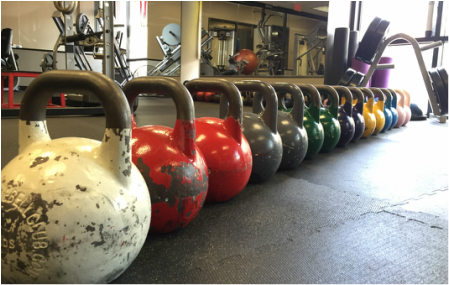 DWTG was one of the first gyms to offer Kettlebells in the DFW area. It has sense taken off to used in most gyms. The key to achieving results is good form. Starting with one of our trainings or workshops, you will get the foundation you need to fully realize the benefits of this amazing approach to fitness. 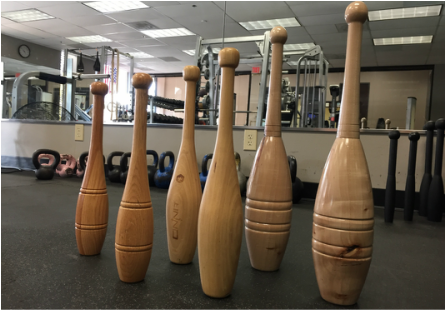 DWTG is one of first gyms in Dallas to offer clubbells. Club Bells are showing up in Europe and making there way to the US. It is an excellent tool to open up your shoulders as well as help repair old injuries. 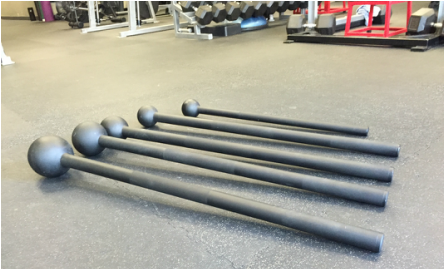 Club Bells are an incredible training tool to create circular strength with a crushing grip to enhance your sport or any day-to-day activity. As with Kettlebells, you will need to start with good form. It's easy to get started with a private session from one of our private trainers or workshop to help you realize the benefits of this exciting new area. Indian Clubs are a fantastic tool for many reasons. They create load with speed. They are lightweight (normally 1 to 4 lbs - sometimes lighter). Once basic mills are learned, rotational mobility of the shoulder girdle can be achieved. They're great for rehabilitating old injuries and breaking down scar tissue. Even more important, injuries can be prevented with using this technique and will help you build rotational strength. We offer a beginner workshop to learn more about this workout technique or if you prefer a session with one of our primate trainers. Either approach will help you achieve the benefits from Indian Clubs. DWTG has added Mace Clubs to our arsenal of rotational equipment. You will be amazed how using a Mace will dramatically increase your shoulder mobility and strength along with tremendous core balance and hand causing strength. As with Kettlebells and club bells, the key to achieving results is good form. Starting with one of our trainings will give you the foundation you need to fully realize the benefits of this amazing approach to fitness. What are of fitness do you want to work on?